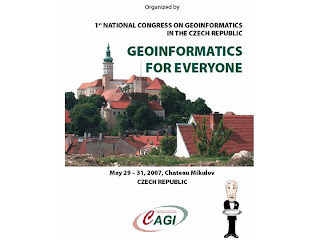 CAGI celebrates its 10th Anniversary. 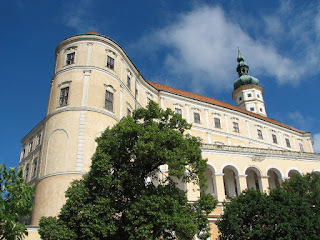 The First GIS Congress in the Czech Republic was hosted by the Chateau Mikulov in Lower Morava. EUROGI, OGC, EARSeL, IGN-Dresden and HUNAGI were invited to deliver presentations in the international session. Prepared by UNSDI HUCO, a successful meeting with the high-profile Chinese Delegation was hosted today by the FÖMI RSC.Co-chaired by Gabor Csornai and Chen Xuan Qing., the event attracted representatives of 3 Hungarian ministries, some national Agencies and other members of the steering committee of UNSDI HUCO. Moderators were Dezső Mikus of MoEW, Pál Lévai of MoARD FÖMI and Jelle U. Hielkema, UNSDI consultant of the UN Geospatial Information Working Group Secretariat. The final programme and all presentations will be available on this website soon. By request, a HUNAGI contribution was sent to GIM International, the Global Magazine for Geomatics today. After publication in the column Insider's view, the text will be available in pdf format here. -Hungary’s entrance to the European Union and its opportunities for business life. -The transition from a planned to a market economy and its consequences for business life. By means of visiting several Hungarian companies the students gained insight into these subjects. One of the companies that was willing to welcome the students was Geometria. On 26 April the managing director of the company, Mr Tibor Tenke, has introduced his company by means of a presentation. 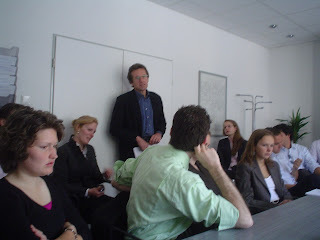 After that, he was very open to answers all questions the students had prepared. He has shared his experiences concerning the research topics, which has been very useful in order to help the students writing their research reports. " Fully in line with the mission goals of the Hungarian Association for Geo-information, HUNAGI is ready to advise foreign study groups to arrange their programs while in Hungary. Mention should be made, similar actions are underway with a high profile Chinese delegation next week and in the Canadian relation. This latter has primary goal is the trade development with interested Hungarian SME players active on the geospatial marketplace. GSDI 10 invites presentations covering the full range of practice, development and research experiences that advance the practice and theory of spatial data infrastructure development. 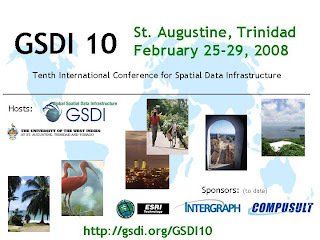 Submissions relating to the GSDI-10 theme of "Small Island Perspectives on Global Challenges: The Role of Spatial Data in Supporting a Sustainable Future" are particularly attractive. All full papers submitted will be peer reviewed and selected submissions will be considered for further review and inclusion in a special issue of the International Journal of Spatial Data Infrastructures Research. HUNAGI's Secretary General - as one of the HUMBOLDT project's international reviewer - was also invited. Presentations were delivered by Peter Winkler responsible for the Humboldt's Application segment, Gyula Iván, Chair of the Workpackage V&V (Verification and Validation) and Dániel Kristóf developers. The meeting attracted many FÖMI R+D staff members. Szabolcs Mihály DG of FÖMI emphasized the importance of the involvement of FÖMI in this flagship project both from GMES and INSPIRE point of view and the useful role of the young innovative staff members, György Büttner of FÖMI (Member of the EU GMES Committee on Land monitoring) pointed out the necessity of awareness raising on the ongoing EU projects which have close relevance with GMES, while Gabor Remetey called the attention on the achievments and initiatives inside HUNAGI, which can be strengthen the implementation of the project (as example graphIT's internationally award winner border security project and the IHLET's Public Benefit Company's multilateral cross border project initiative on Tisza were mentioned). - Data Transfer, Communication and Training Workshop, 8-11 May 2007, Juba, Sudan. - Global Navigation Satellite System (GNSS) Base Station Installation and Data Processing Training Course, 30 July - 10 August 2007, Nairobi, Kenya. - Africa (SDI-Africa) is a free electronic newsletter for people interested in GIS, remote sensing, and data management issues in Africa. Published since May 2002, the newsletter aims to raise awareness and provide useful information to strengthen national SDI initiatives and support synchronization of regional activities. Each month, the newsletter highlights recent activities, provides information about available data and tools, and includes notices about upcoming training, employment and funding opportunities, and events. Please forward this message onto others who might be interested. If you would like to sign up for the GSDI News List, please go to http://www.gsdi.org/newslist/gsdisubscribe.asp "
“The Third Annual Map Middle East Conference was held in Dubai, United Arab Emirates, on 9-11 April 2007. 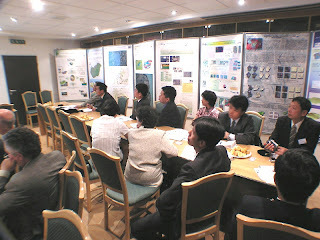 It was held in conjunction with the ISPRS. Around 500 delegates, presenters and exhibitors attended this showcase of geospatial technology in the Middle East. One notable session was a roundtable on Spatial Data Infrastructure (SDI). Speakers came from Australia, South Africa and several Middle East countries. Issues included describing the benefits of SDI to obtain political and user support, data pricing and access and interoperability. It was clear that all jurisdictions represented at the session had similar problems in addressing these issues. Details on the conference can be found at www.mapmiddleeast.org/2007/ . 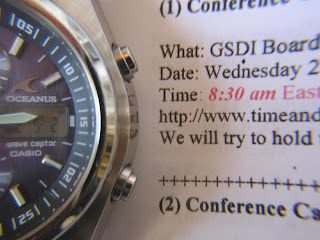 Telecon of the GSDI Board held today focused on the forth-coming conference and the progress made by the Task Forces. As pointed out by Roger Longhorn and seconded by Gabor Remetey-Fülöpp (both of EUROGI WAG on International Affairs), the European eSDI-Net+ could contribute to the global visibility of best practices. The ICT programme's consortium lead by the Fraunhofer Institute has Hungarian members too.